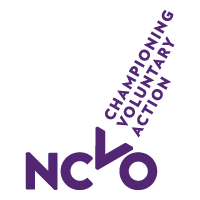 NCVO – the National Council for Voluntary Organisations – wants to remind people of everything that’s great about charities, and show them we’re very grateful for their support. To do this, they are asking every charity to use the hashtag #YouMadeItHappen on social media on Monday 19 November. This is an opportunity to thank your own supporters and, after a time when some charities have had media attention for negative reasons, for all of us to show the difference charities and community organisations make together. We hope you’ll be able to join the collective or organisations behind this campaign – NCVO, CharityComms, Small Charities Coalition, FSI, the Institute of Fundrasing and Acevo – and charities across the country in doing this. Thank you for your booking: #YouMadeItHappen campaign. We will be in touch soon to confirm your place.